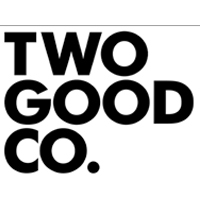 Two Good Co. is a wonderful, revolutionary organisation, founded by Rob Caslick and Cathal Flaherty, with the mission of being the national provider of beautiful food and lifestyle products to domestic violence refuges and soup kitchens in Australia. This charitable idea started 10 years ago when they starting cooking BBQs for the homeless and less fortunate in Sydney's King Cross. In June 2015, Rob and Cathal, both working as engineers, hatched a plan to upscale the soup kitchen by using the "Buy One, Give One" model. They decided to first offer their donated meals to a local domestic violence refuge. They came to know that one of the most debilitating things about domestic violence is that it strips a person of their self-worth, and so made a commitment to do something special to show these women that they are worthy and that people do care. 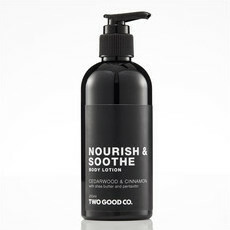 They employ women from the refuges they support and, alongside the food supplied, they have created beautifully packaged body care products where one identical pack is donated for every pack bought. By stocking these care packs Nourished Life is very happy to support Two Good's life enhancing work. This brand has formally advised us that they do not use any raw palm oil as an ingredient but they do use some palm derivatives such as emulsifiers, where they make every attempt to use only sustainable sources. They are moving towards finding palm oil-free replacements for these ingredients.